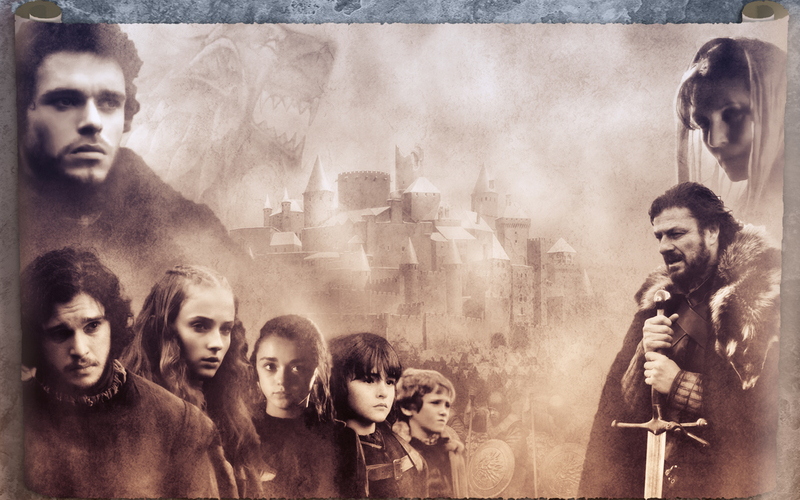 House Stark. . HD Wallpaper and background images in the Game of Thrones club tagged: game of thrones arya stark jon snow sansa stark ned stark robb stark bran stark catelyn stark rickon stark house stark. This Game of Thrones wallpaper might contain concert and drummer. Would You Survive In The Seven Kingdoms?